If you’re planning a Hawaii vacation (or just want to daydream about planning one! ), check out this post featuring 9 things to do on the Big Island of Hawaii. 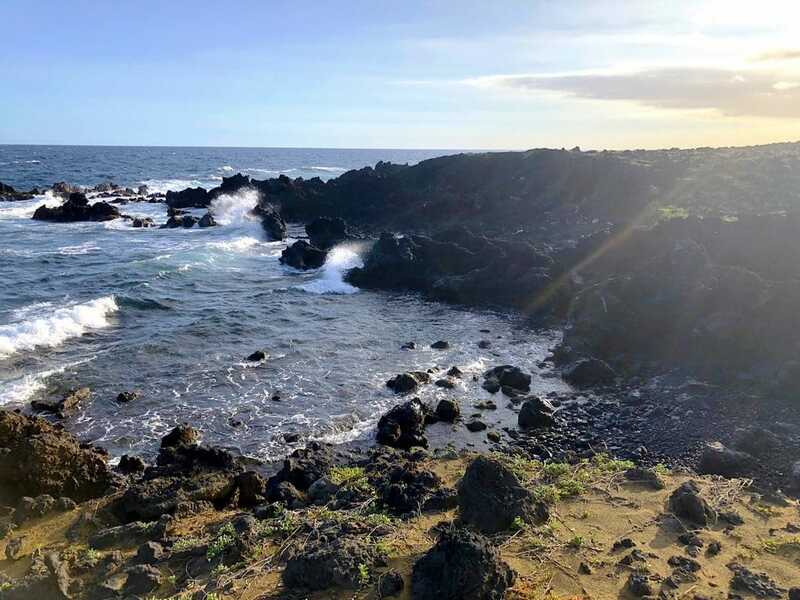 From places to visit to hikes to take to things to eat, you’ll have plenty to do on your Big Island vacation! I can’t believe I’m only just now getting around to writing about my recent trip to Hawaii! 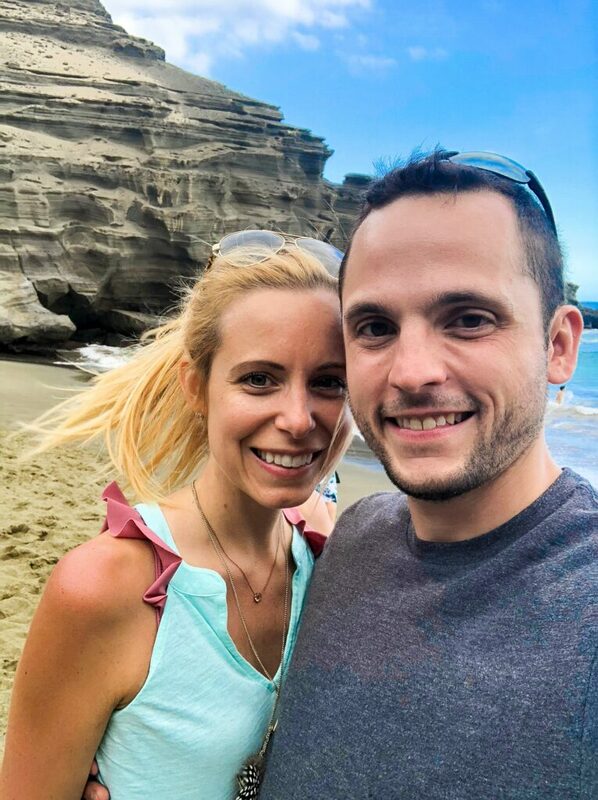 Chris and I visited the islands for our second time back in November, hitting up the Big Island again and going to Maui for our first time. 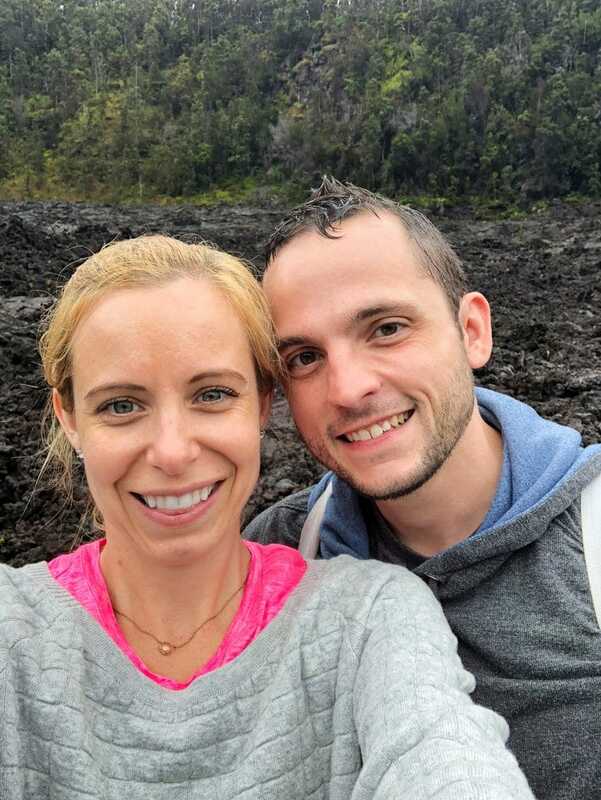 Instead of sharing every single detail from our trip, I thought I’d write two posts- one on the Big Island and one on Maui with a few highlights of places I recommend going and activities I recommend doing (here’s my post on things to do on Maui!). Oh, and obviously the food I recommend eating! If you’re heading to either island, I hope these are helpful to you, but feel free to shoot me a note if you have any questions or want more in-depth recommendations. 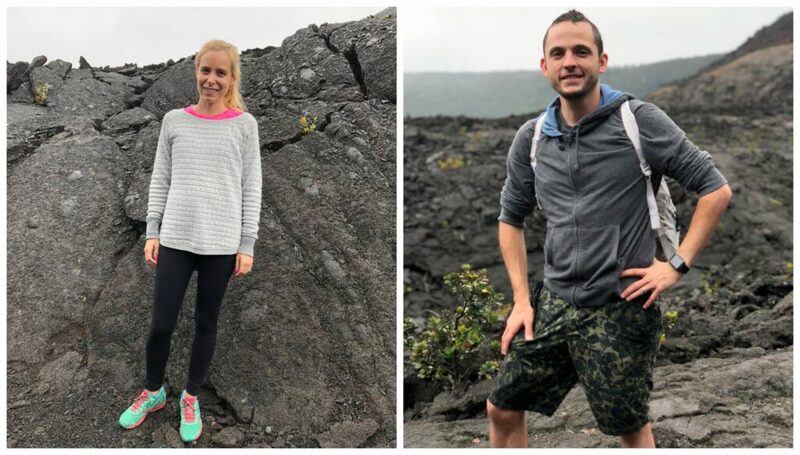 And if you don’t have any plans to head to Hawaii any time soon, I hope these posts convince you that you need to plan a trip ASAP! We first visited Hawaii back in 2009 when my sister and her husband were living there for their traveling PT jobs. We fell in love and have been talking about going back ever since. Well, I have to admit that Chris has been pushing very hard for a return and I finally caved. It’s just that Hawaii is pricy and so far from New England and there are so many tropical places closer. I’ve also been focused on relaxing vacations for the past few years and I knew if we went all the way to Hawaii, we would want to be go, go, go. Luckily, we managed to find the perfect balance of adventure and relaxation and I’m SO SO happy we went. Now I’m going to be the one pushing for a return! And with that, here are the 9 things to do if you visit the Big Island of Hawaii! This one might be a little obvious. I mean, if you go to the Big Island and don’t visit Volcano National Park, you must have a really good reason. 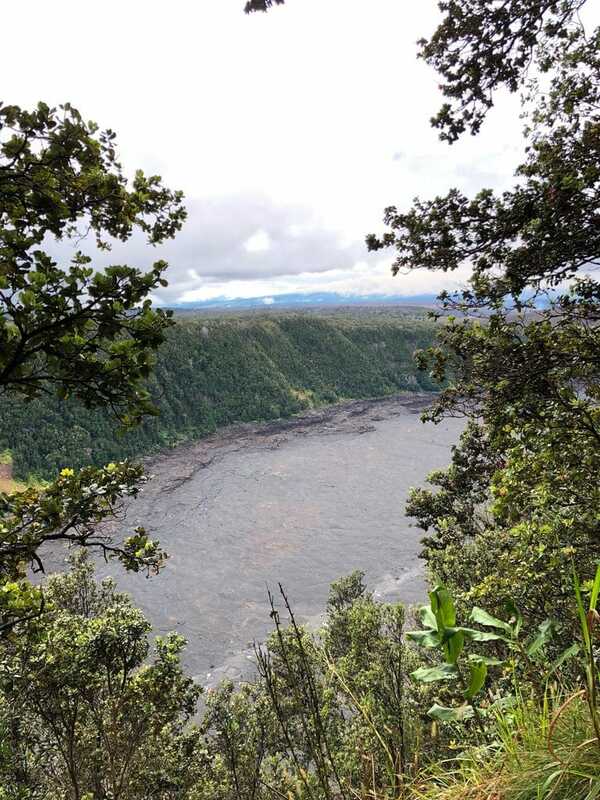 But lots of people visit the park without doing any of the hikes and I 100% recommend you do a hike that takes you to the crater of Kilauea. We did it on our first trip and knew we were going to head back for a second round. 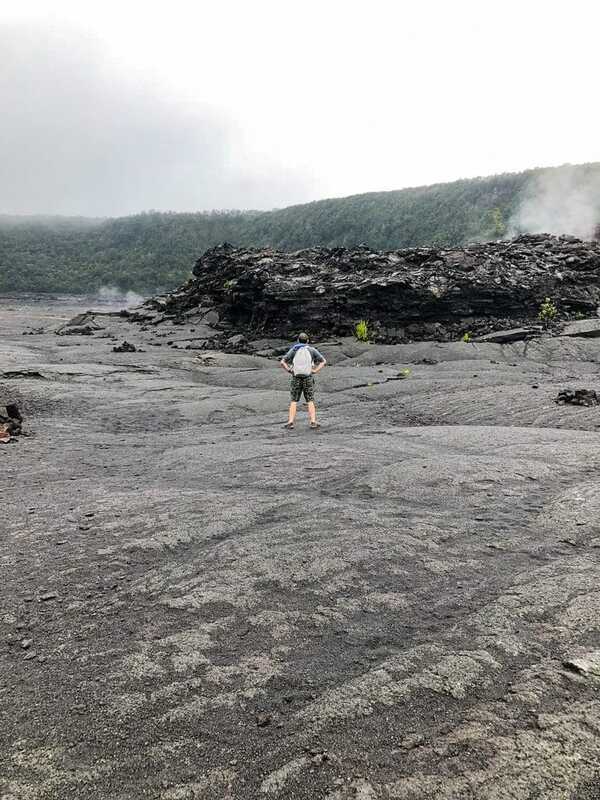 Once again, we did the Kīlauea Iki hike, which is a 4-mile roundtrip hike. We initially wanted to try the longer one (Crater Rim), but at 11 miles, it was just a tad too much (stamina-wise and time-wise). At first we thought maybe it was silly for us to do the same hike again, but honestly, I’m so so glad we did! 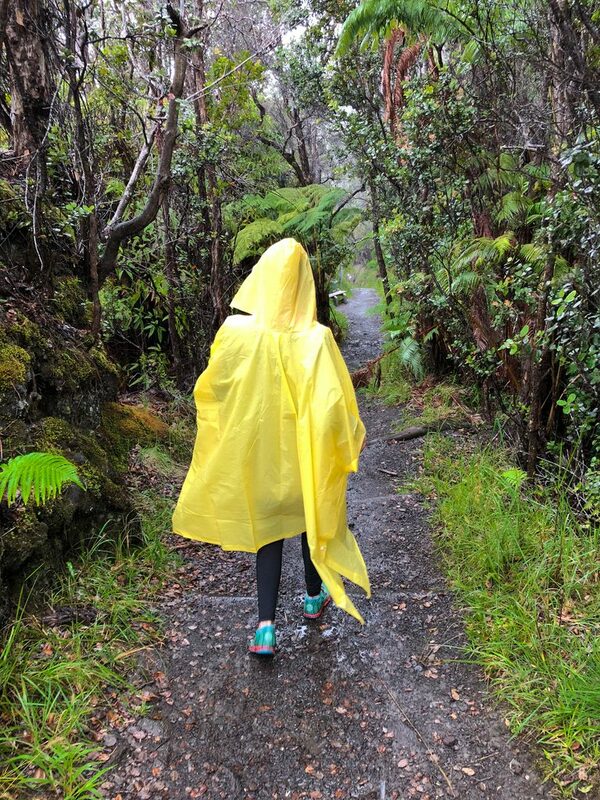 If I lived on the Big Island, I’d be doing this hike all the time. Anyway, back to the volcano hike. Basically, you’re hiking all the way down to the crater, walking across it, and then hiking back up. This is what the crater looks like from the top. OK, so I remember this hike being so hard 8 years ago. 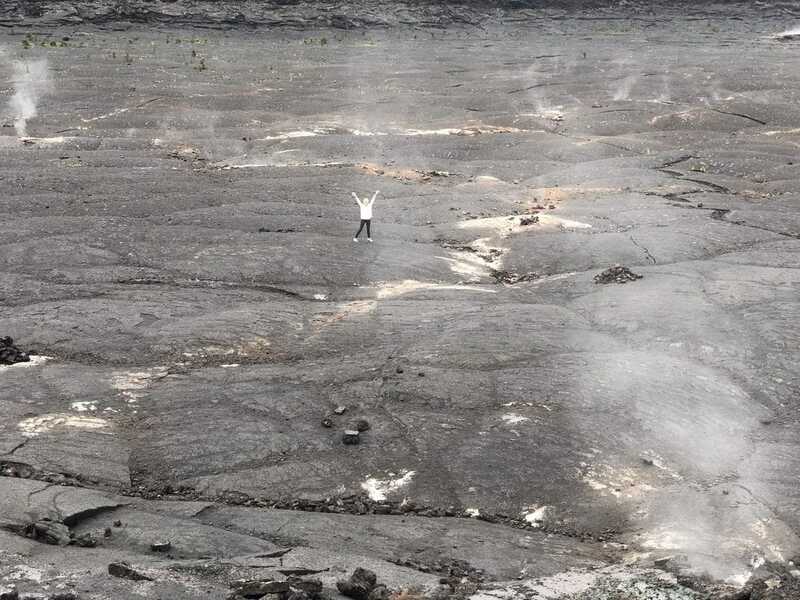 I remember getting down to the crater and being scared that we were going to die and nobody would ever find us. But this time, it was really easy. I’m not sure if things just changed or I changed?! The first time we did it, we also did the hike backwards, so that could have something to do with it. There was also not a person in sight the first time and this time, we passed people from time to time and I guess we also knew more what to expect. In any event, I wouldn’t mark this hike as very difficult. You obviously need to be able to walk for 4 miles and need to be aware of rocky terrain, but it’s nothing too strenuous or rough. We made it to the crater! Getting down to the crater is one of the coolest experiences ever. We had to keep saying to each other, “We’re walking on a crater!” What! We were also the only ones down there for a bit and it was just a surreal feeling. We totally went off the trail to check out the sulfur. Which you’re maybe not supposed to do? But once we made it to the crater, we didn’t want to leave. We took about a zillion photos during our hike and I want to share all of them with you, but I’m trying to restrain myself. 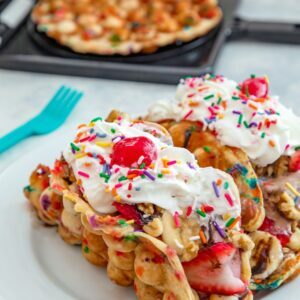 After all, this is only the first Hawaii activity recommendation I have for you! Please excuse our gross hair; it had been through a lot at this point. Be sure to check out all the cool vegetation along the way of your hike. 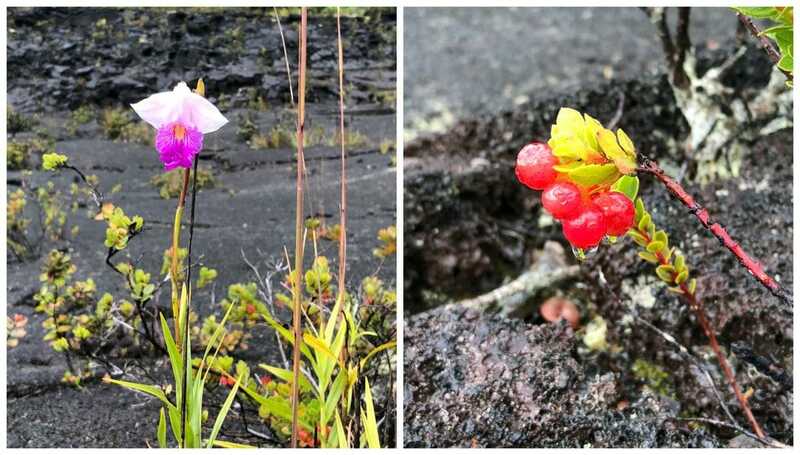 You won’t believe some of the stuff that grows on a volcano. 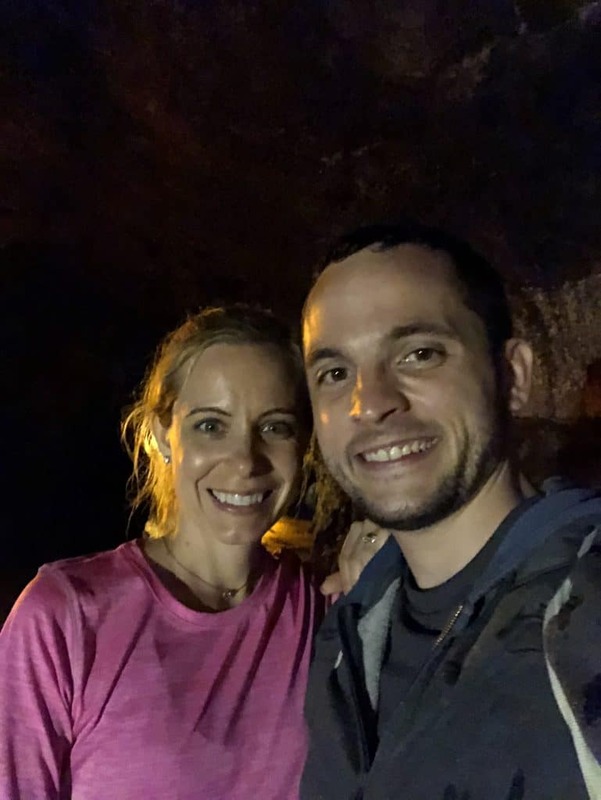 The Kīlauea Iki hike ends at the Thurston Lava Tubes, which you can walk through. You’re probably wondering if we saw any active lava and I have to say that we sadly didn’t this trip. 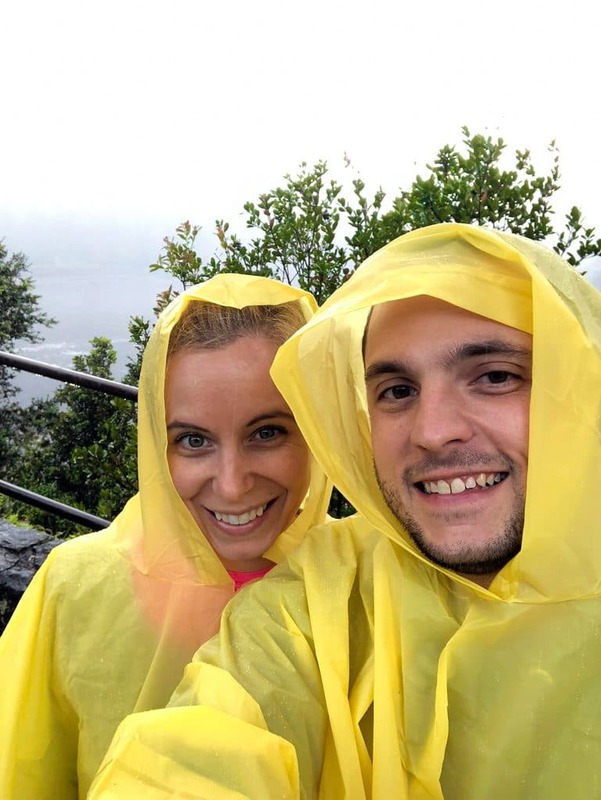 We actually planned a boat trip that would take us super up close to the lava, but it was canceled due to the weather. And to be totally honest, I was incredibly relieved it was canceled. See, we booked the tour before I read anything about it… And once I started reading, I saw that almost every review said something along the lines of “I thought I was going to die!” and “I’m permanently traumatized!” Already not a boat person, I started to panic a bit. Chris could sense my anxiety and secretly tried to cancel the tour, but they wouldn’t let him! So, when it was suddenly canceled due to weather, I did breathe a little sigh of relief… Though I’m sure it would have been worth it and I would have been happy I did it. Oh well! 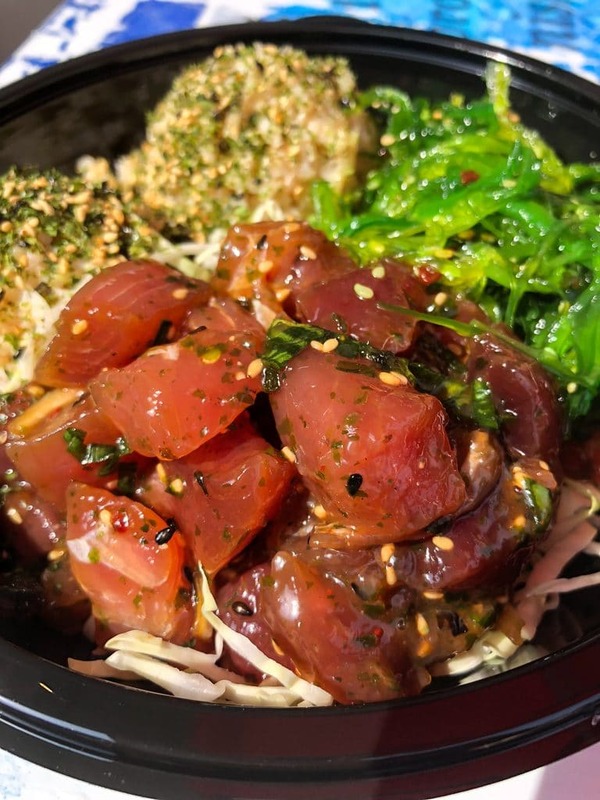 One of my big to-dos in Hawaii was to find some really good poke (raw tuna) and while I had it quite a few times during our trip, my absolute favorite was at a spot in Kona called Umeke’s. 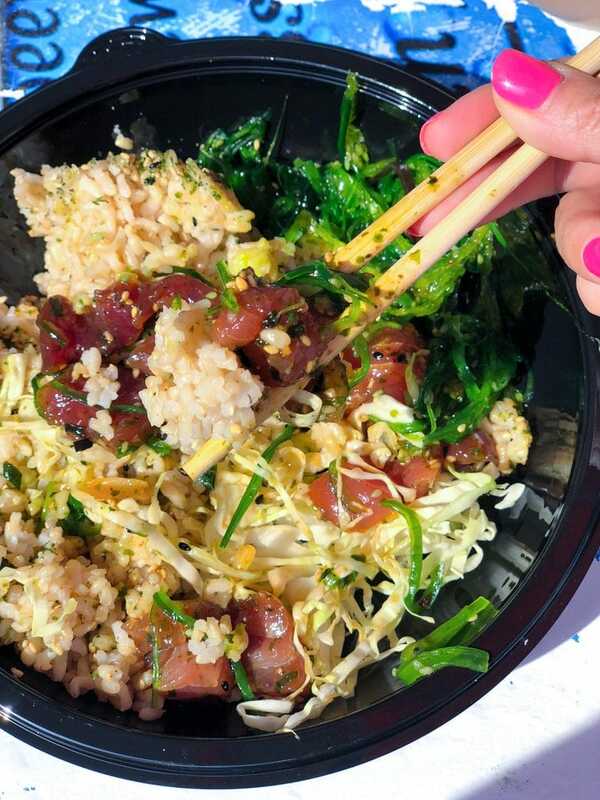 It was so good that I’m seriously considering purchasing a return flight to the Big Island just to get another poke bowl. Look how gorgeous that tuna is!! I got mine with seaweed salad and brown rice. 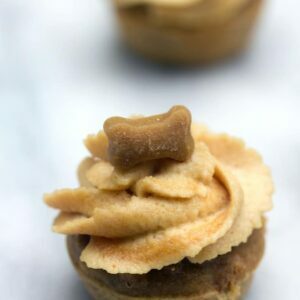 Obviously I mixed everything together for some of the most perfect bites ever. The other awesome thing at Umeke’s? 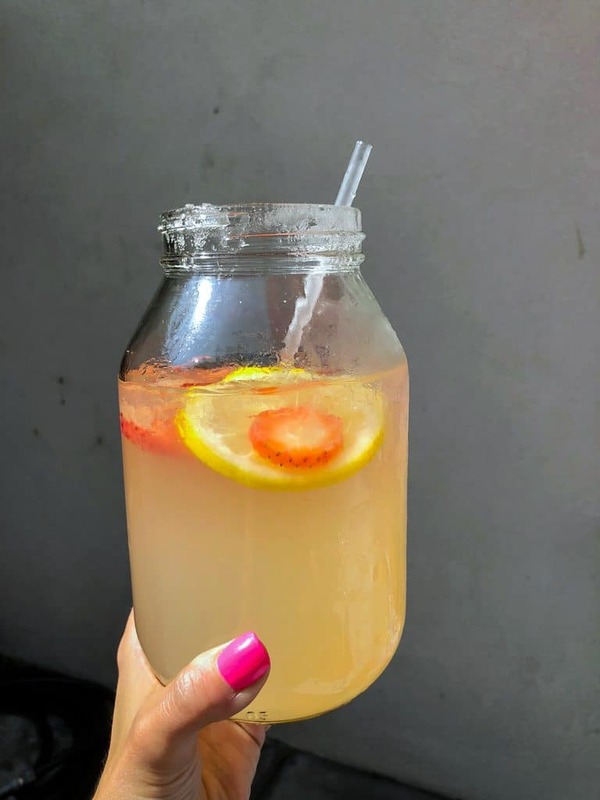 These giant jars of strawberry lemonade! Chris and I enjoyed our lunch on the restaurant’s patio (you order at the counter inside and can get it to-go or sit outside if you want. Umeke’s also has a bar and grill sit-down location nearby). I’m in MAJOR vacation mode here. If I lived in Kona, I’d legit be at Umeke’s every day! Another must-do in Hawaii? 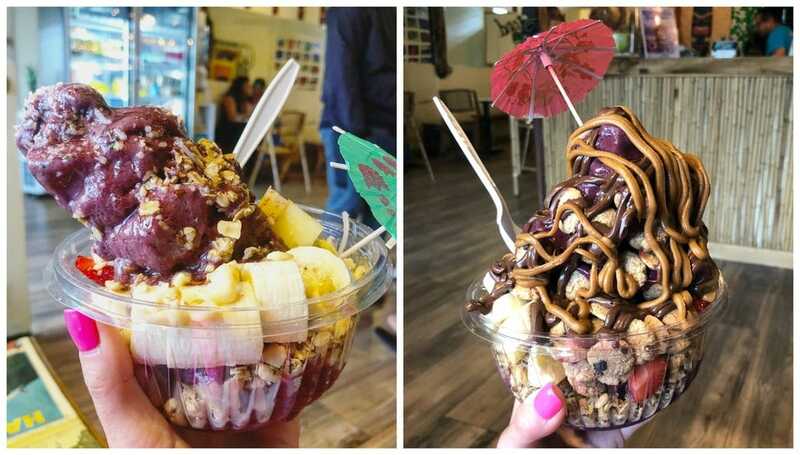 Eat as many acai bowls as possible! Immediately after finishing our volcano hike, we jumped in the car and headed to Big Island Juice Co. (I just found they literally just changed their name to Makani’s Magic Pineapple Shack, so you may have to look for that instead!) in Hilo in search of the perfect acai bowls. We found them!! I went with the “simple” Aloha Acai Bowl and, of course, Chris got the Cookie Monster, which is an acai bowl involving mini cookies and drizzled with cookie butter and Nutella. WHAT. They were huge, but we also had huge appetites after our hike. 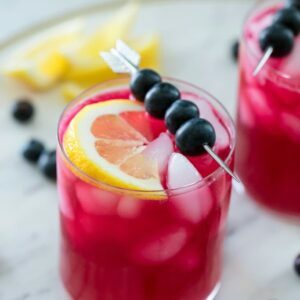 Take some time to browse Big Island Juice Co’s photos on Instagram and die a little (as you immediately book a Hawaii vacation). Everything is stunning AND they have cereal ice cream sandwiches. I literally wanted to order everything in this place and would have gone here every day if it was closer to where we were staying in Kona. 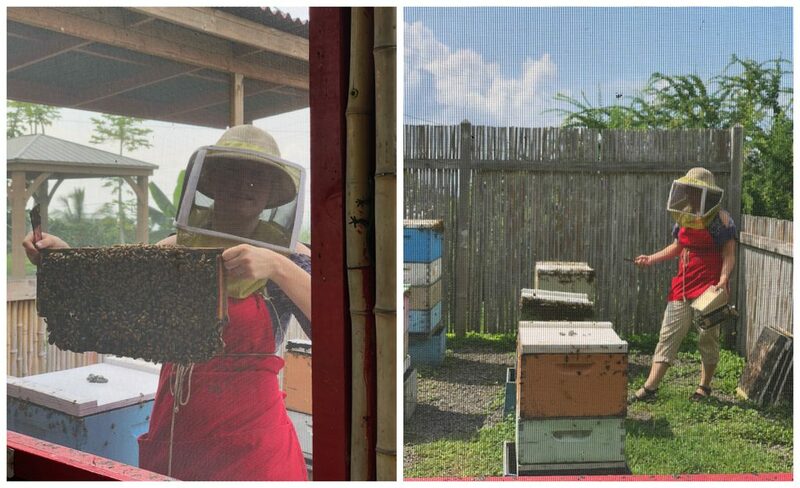 While I was doing my Big Island research, I learned about Big Island Bees and immediately wanted to go. The only problem? 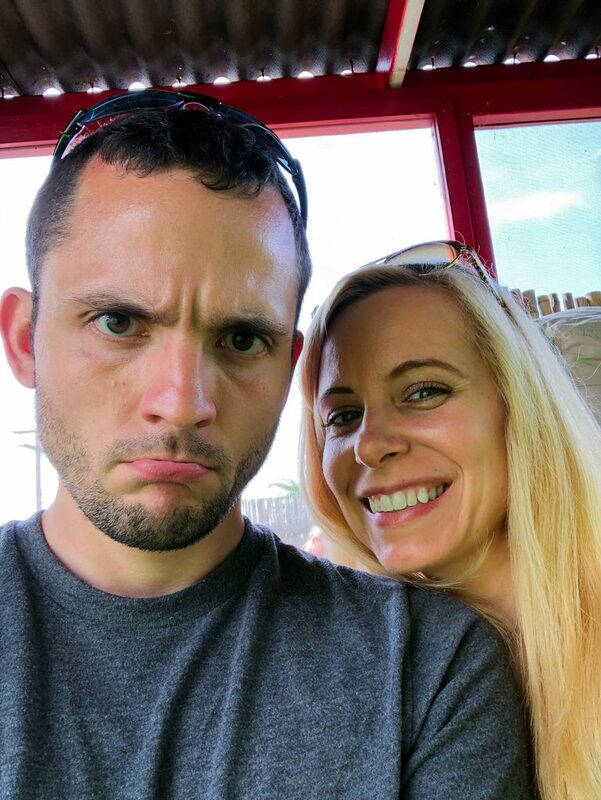 My husband is terrified of bees! He will legit run and scream if a bee gets near him (and he routinely jokes that he’d take a bullet for me… But not a bee sting. Except I don’t really think it’s a joke!). Somehow I convinced him to put on his big boy pants and take the tour with me. Probably by reminding him that if there were bees, there’d also be honey! We stayed behind the screen and didn’t have any stinging incidents, but the beekeeper actually did get stung (she said she almost never does!). That didn’t help Chris’s fear much, but he was fine. I told him the bees would be able to smell his fear. Then again, it’s probably easy for me to have no fear because I’ve never been stung by a bee! After the tour, you can explore the museum and take part in a honey tasting. I fell in love with the honey, especially the Ohia Lehua and Lehua & Cinnamon varieties. Omg the Chili Pepper was so good, too. 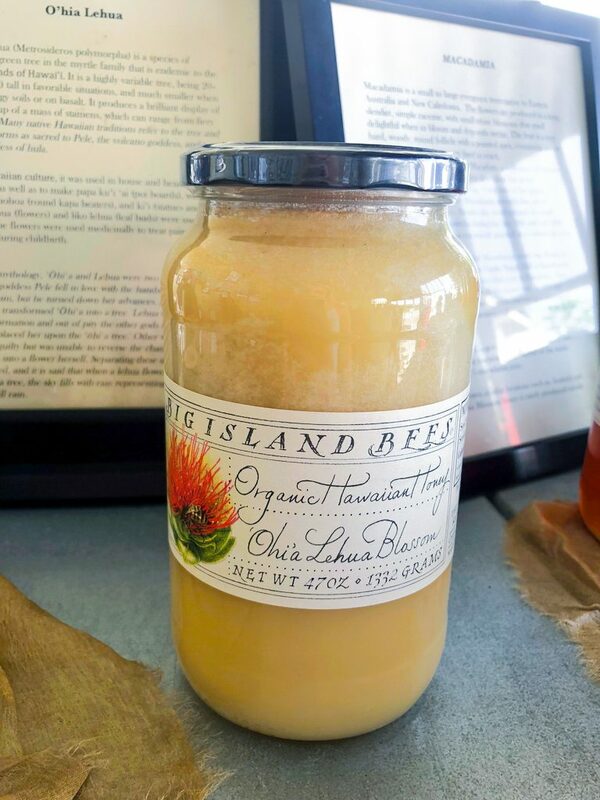 We took a few jars home, but I’m also really excited Big Island Bees has a shop online. The museum is small (one room), but features some really cool beeswax sculptures; a few have even been featured in the Guggenheim Museum. 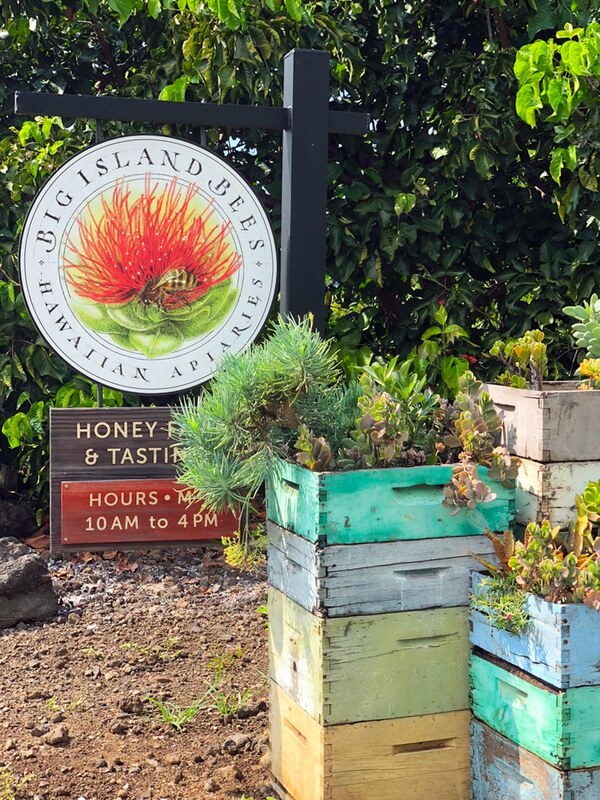 Big Island Bees is another great activity to add to your Big Island to-do list and it will only take a couple hours, so you can do it on your way to another stop. 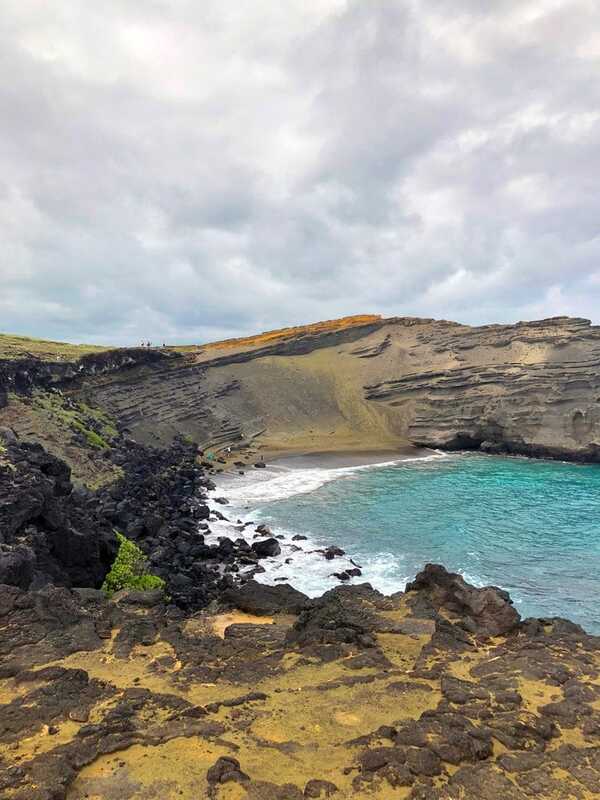 We didn’t visit Papakōlea, the green sand beach, on our first visit to the Big Island (I can’t remember why), but after hearing my sister and Adam gush about it, we knew we had to do it this time around. And I’m SO happy we did! It’s not super easy to get to, but in my opinion, worth it. 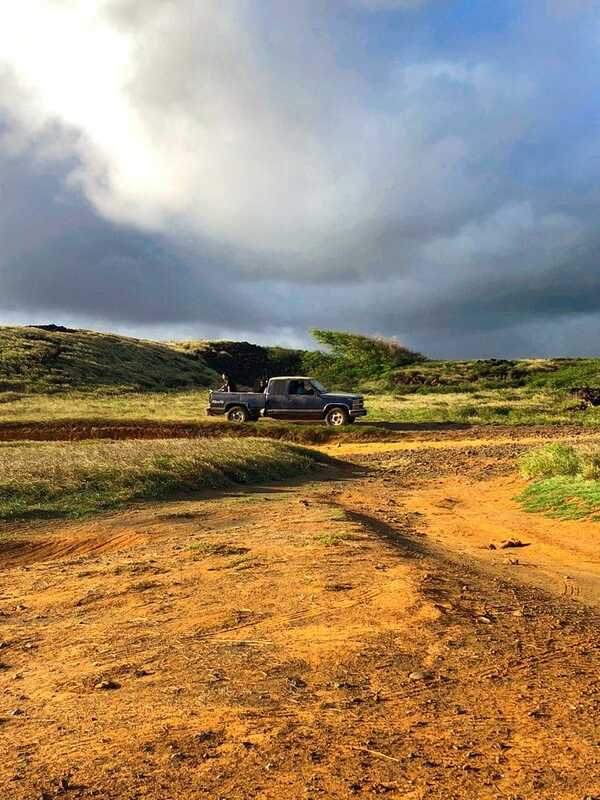 You have to park (at the southern most tip of the U.S.!) and then hike about 2.5 miles to get to the beach. If you’re not up for the hike, there are tons of locals offering truck rides and lots of people opt to go that route. To be honest, the hike isn’t the easiest, BUT I also think I would get very sick sitting in the back of a truck because the terrain is quite rocky. Some people also take their own trucks or SUVs, but I wouldn’t recommend this unless you’re a skilled off-roader. We saw quite a few vehicles getting into precarious situations. I also just read that it’s actually illegal to drive this trail because vehicles are harming the land (also, it’s definitely against your rental car agreement!). I actually read a few reviews from people saying they ran the whole trail, but I thought this was a little crazy as part of the hike is incredibly rocky and I imagine I would kill myself if I was running. I would also recommend wearing sneakers over sandals or flip-flops, though we saw people wearing a whole variety of footwear. In any event, this walk was one of my favorite parts of our entire trip; we had so much fun with it and the views were stunning. But be aware that there’s absolutely no shade and it gets super hot, so be sure to dress accordingly and bring water. When we finally got within sight of the beach, we were kind of freaked out. How the heck do we get down there?? See that ridged wall to the left of the smooth area in this photo? Basically, you have to climb down that. I wasn’t so sure what we were getting into. But luckily, when we actually got up to it, it looked a little more do-able. Still not for everyone and there were definitely people hanging out at the top opting to stay there, but it was fine for us. There is a little path with some rocky steps and a railing some of the way. We were so happy that we made it! And check out that beautiful green sand. 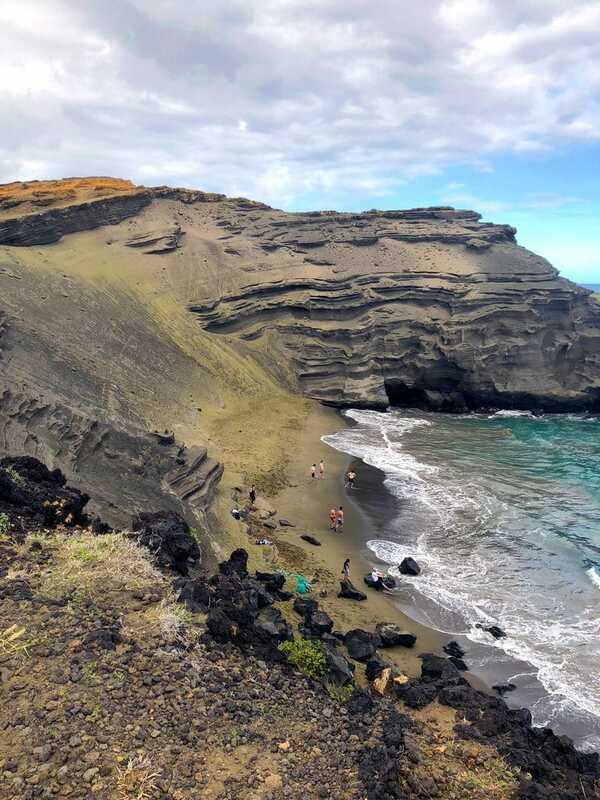 The sand is green due to the semi-precious mineral olivine, which was brought to the surface from the volcano, Mauna Loa’s eruptions. 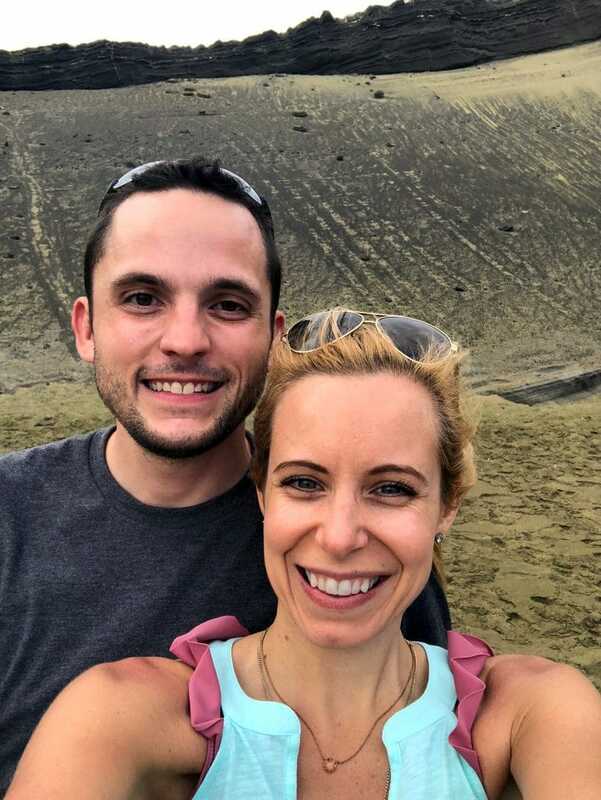 There are only four green sand beaches in the world, so this really felt like a once in a lifetime opportunity.We didn’t go swimming, but hung out on the beach for a while before heading back up. Lots of locals offered us rides when we climbed back to the trail from the beach, but we decided to walk back and made it just as the sun was beginning to set. The walk back may have been even more gorgeous than the walk there. I’m so happy we made it to the Green Sand Beach this time and it’s one of those things, I know we’ll do again if we ever go back. Why can’t we have hikes like this one in New England?? I’d be in heaven! If you’re looking for things to do on the Big Island, you absolutely need to add this to your list! Malasadas are basically Portuguese donuts that are very popular on the Big Island. We went to Punalu’u Bake Shop on our first trip and I’ve been dreaming about it ever since. Fun fact: It’s the southernmost bakery in the United States 🙂 I got the most delicious passionfruit malasada and ate it in about .5 seconds. I actually made homemade malasadas after my first Hawaii trip and am planning to update this recipe and the photos very soon! If you’re on the Big Island, getting malasadas at least once is a must! 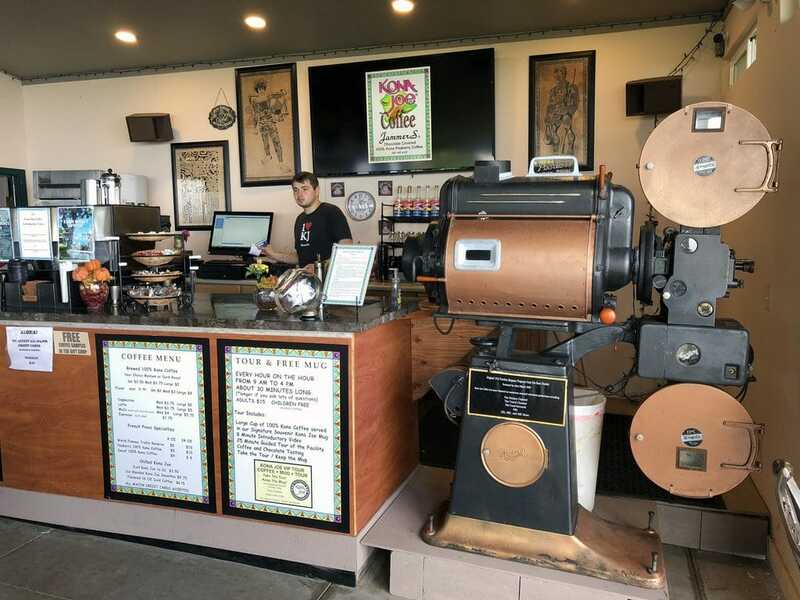 Another must-do activity on the Big Island is taking a tour of Kona Joe’s. We did this on our first trip, but returned to get our morning coffee and enjoy the views. 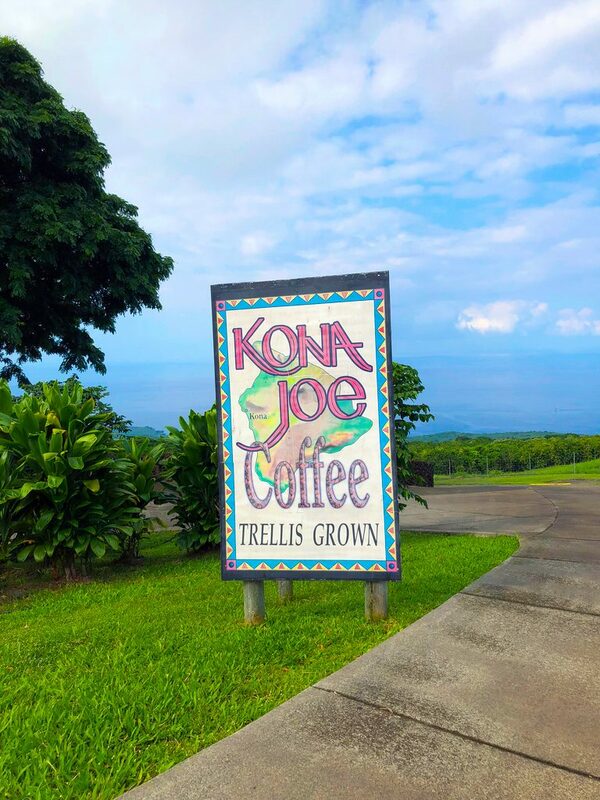 Kona Joe’s is unique because it’s the world’s first trellised coffee plantation. Which means they grow their coffee like wine! The tours are super in-depth and allow you to see the planting process, brewing process, and more. They even have a tour option where you can roast your own coffee (and take it home!). This time, we just stopped by for some coffee, enjoyed the view, and picked up some of their delicious coffee rub, which is fabulous on steak. 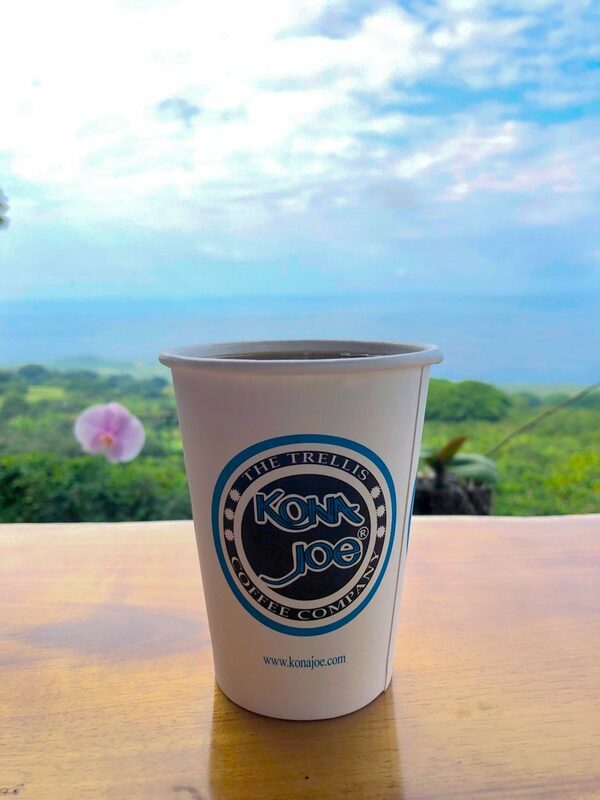 Kona Joe’s coffee is seriously incredible. But I think the location makes it taste even better! I’ll be honest, I was skeptical about shave ice before trying it. I enjoy snow cones as much as the next girl, but can you really get that excited about crushed ice covered in flavored syrup? Meh. Well, I’m here to tell you that shave ice is totally different than a snow cone. 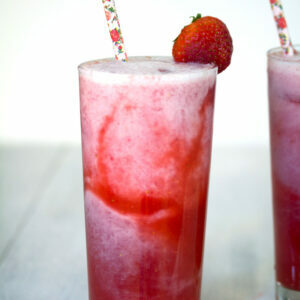 Since the ice is shaved, it’s a lot smoother and creamier than a crushed ice snow cone. And the flavored syrups taste SO much better than they do on any snow cone I’ve ever had. At least, this is true at One Aloha, where we went. Seriously, eating this was like eating ice cream. I was at first tempted to get an Instagram-worthy color combination, but then I got the flavors I really wanted… Lime, passion fruit, and coconut. I’m so mad that we didn’t partake in more shave ice experiences on our Hawaii vacation! 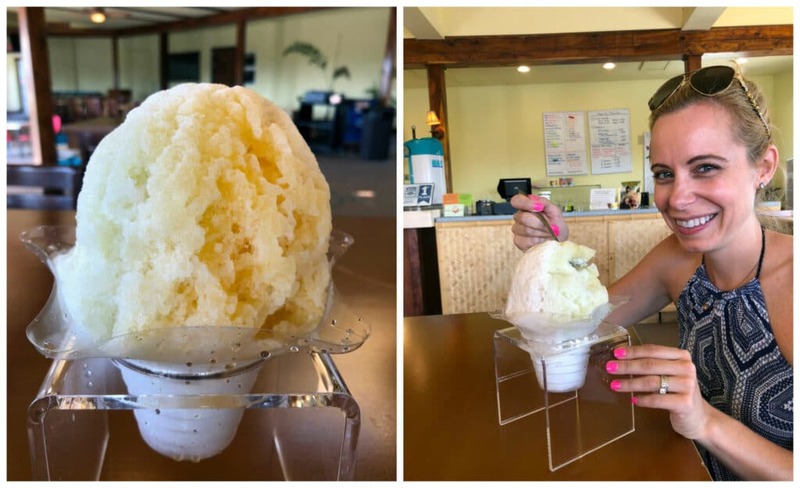 We did get some at our hotel pool in Maui, but it wasn’t great and was more like a snow cone than this amazing One Aloha shave ice! Part of the reason it took us so long to get back to Hawaii is that when we have vacation time, we often just like to relax. We’ve opted for resort vacations where we can sit by the pool or on the beach, decompress, and not feel pressure to go, go, go. But I was so happy that we decided to make this vacation part adventure and part relaxation. After all, Hawaii is such a beautiful location that you want to take some time to sit back and enjoy it. Also, after a strenuous day of hiking, a day at the pool or beach is exactly what you need. 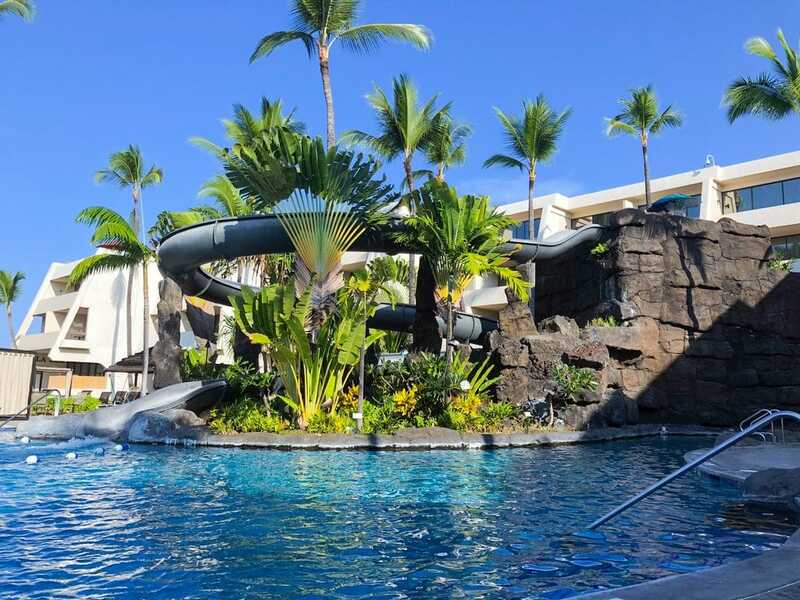 While on the Big Island, we stayed at the Sheraton Kona Resort and Spa at Keauhou… In part because Chris has literally not stopped talking about that water slide since the last time we were there! The resort is not super fancy, but in a great location with fabulous pools. We spent plenty of time by the pool, cocktails and books in hand. 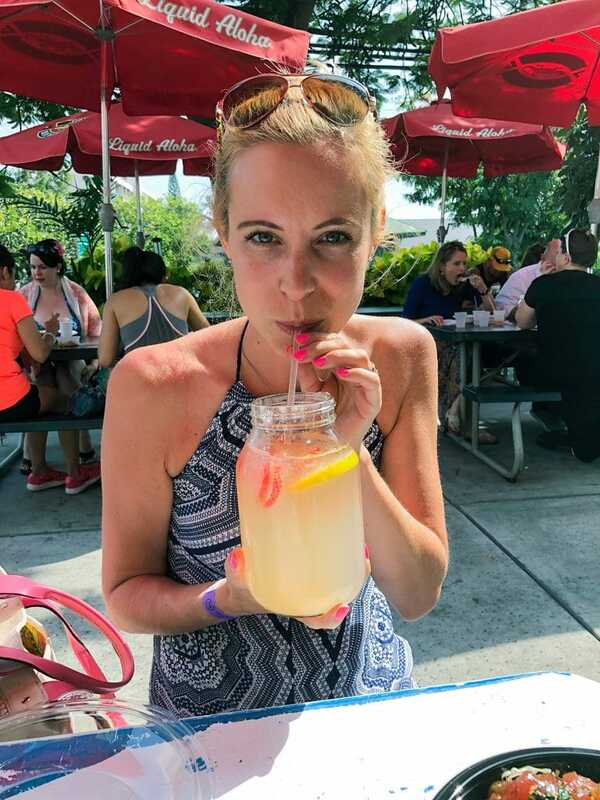 We weren’t wild about the food at the resort, but I’m probably a little more particular about food than lots of people; plus, there are tons of great places to eat at very nearby. If you’re visiting the Big Island, you will want to decide whether to stay on the Kona or Hilo side. You can do day trips back and forth, but it can get to be a lot of driving. We stayed in Hilo our first visit since that’s where my sister was living, but stayed in Kona this time. The weather tends to be a bit nicer in Kona (it rains a ton in Hilo!) and there is slightly more to do since they get more tourism than Hilo. You really can’t go wrong though and you’ll definitely want to spend some time in both places (and in between!). The only good thing about our Big Island trip ending? We were on to the second portion of our vacation, Maui!! For now, I’ll leave you with a picture of the plane we took to get from the Big Island to Maui. Yes, I was freaking out. Big time. Can I just tell you how much fun I had writing this post? Man, I want to go back to the Big Island already! And it made me feel so, so lucky that I have such a wonderful husband and travel buddy. 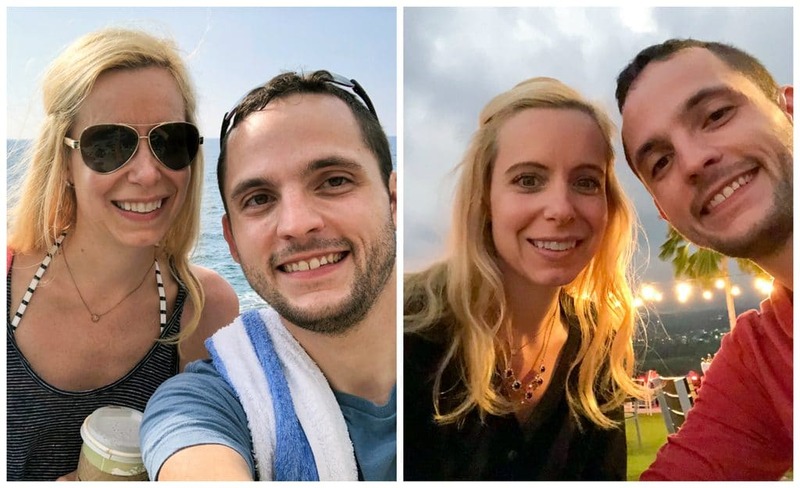 We’re both very much on the same page in terms of adventure vs. relaxation (though I’m sure he’d have the adventure portion of his vacations be even more adventurous if it were up to him) and we have so much fun no matter what kind of vacation we take! 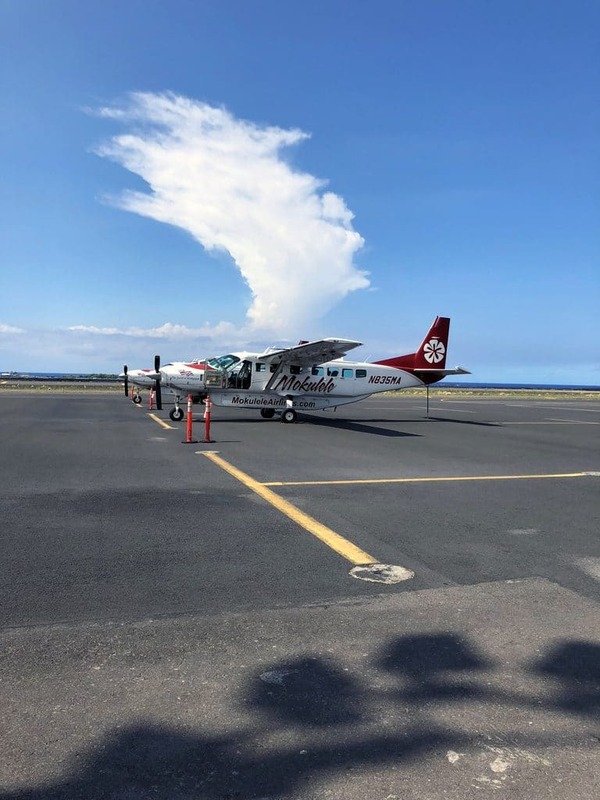 I hope this post gave you some good ideas for things to do on the Big Island… I can’t wait to go back! Have you ever been to Hawaii? What’s your favorite island? 1 Responses to "9 Things to Do on The Big Island of Hawaii"